Tokeneke kicked off a writing project back in January. The teachers worked with the fourth and fifth graders to write stories, poems and music based on a "green" theme. Work was submitted to Child's Play Touring Theatre in February for their review. 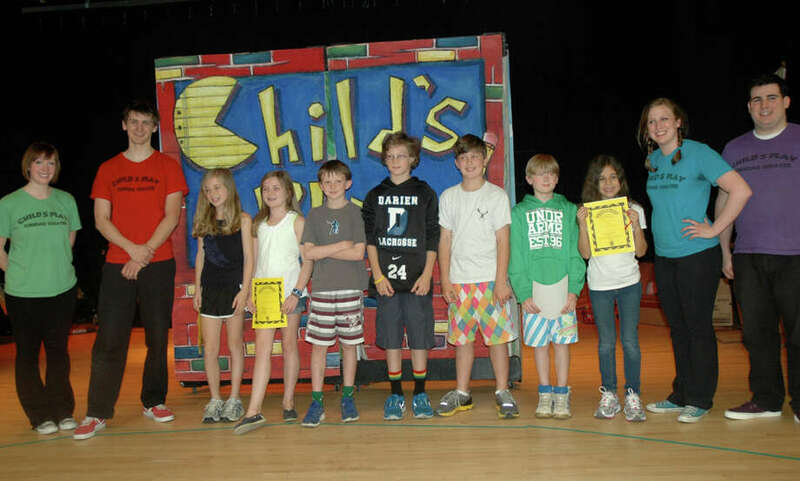 Child's Play then chose what they found to be the best pieces to produce and perform on May 11. The third, fourth, and fifth grades viewed the production, in addition to the parents and some grandparents of those winning writers. The winning writers were not aware their work had been chosen for performance until they saw it on stage, although their parents were told so they could be there to see the production of their childs' writing. It was very exciting for those students and their families. Child's Play is a not-for-profit touring theatre company based in Chicago. Their mission statement is to share, encourage, and validate the creativity of children by performing original works of theatre, music and dance adapted from literature written by young authors.